If there’s one part of the meal that I always look forward to, it’s dessert. Good thing there’s so many dessert places around right now whose main agenda is to hand us our small (or our big) slice of (sigh!) hApPiNeSS. Yummy! Delivery to SG can? 🙂 Congrats to your new site. Cheers! Thank you for the share blanca! I will definitely visit CC if I happen to pass by green belt. How was the price btw? was it convenient? Wow everything looks great! I love desserts. Hope I can get to try those. Before, going to Greenbelt area is a breeze because our office was very near GB area. Discovering new places to enjoy delicious food at GB is one of the things I miss since I started working from home. 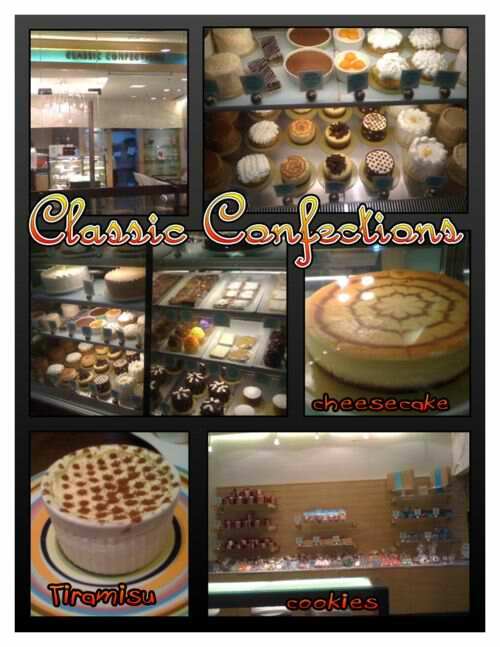 I’ll check out Classic Confections the next time I’m around the area. hard work and past effort go down the drain the moment youu graduate from boot camp.
. I may have put on weight just reading this blog. Can some of you remember to head for the gym after you have indulged yourself.